To celebrate thirty years − yes, thirty years − since its original release, Dare have re-recorded their debut album. 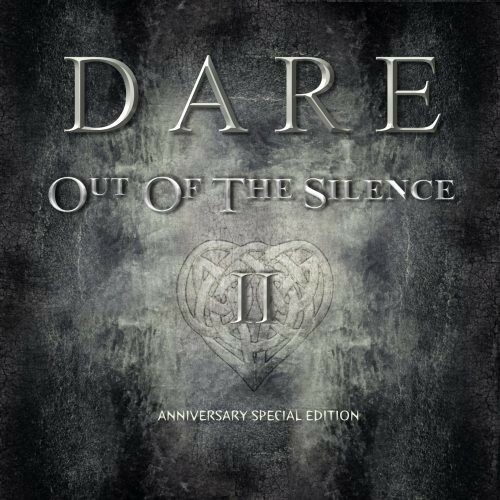 Though I admit their sophomore effort 'Blood From Stone' is my favourite, the vast majority of fans will always view 'Out Of The Silence' as the seminal Dare album, and indeed one of the greatest AOR records of all time. There is always a hint of trepidation when bands re-record much loved and highly respected albums, but no such worries here as, just like FM did with 'Indiscreet 30', Darren Wharton and the boys have done a quite magnificent job. Although every single song on 'Out Of The Silence' is an absolute gem, I always thought that Mike Shipley's eighties-style production was perfect for the time, but some years down the line it sounds somewhat diluted, with the keyboards pretty much the dominant factor. However, with 'Out Of The Silence II' that balance has been wonderfully addressed; with modern production techniques, the whole thing sounds so much more vibrant and meatier, and though the keyboards are clearly still very much in evidence, Wharton's vocals and Vinny Burns' guitar are so much more prominent, standing loud and proud, front and centre. Speaking of Burns, his guitar work here is nothing short of mesmerizing; akin to his wonderful performance on Dare's previous album 'Sacred Ground', Burns is given free rein to completely express himself, notably sticking to the blueprint of the original album, but embellishing his parts with some lengthier, more dynamic solo playing ('Nothing Is Stronger Than Love' being a wonderful example), and with the guitar more audible than previously, it's an absolute joy to behold. The guitar work aside, the songs on 'Out Of The Silence II' remain pretty faithful to the original versions, the main exception being the sublime 'King Of Spades', the outro now cleverly morphing into a section of the solo from the Thin Lizzy classic 'Black Rose' – as a tribute to Wharton's mentor, one Phillip Paris Lynott, I can't think of anything more suitable. With the fresher production breathing new life into the likes of 'Abandon', 'Into The Fire', 'Return The Heart' and the majestic 'Raindance', it fully justifies the decision to re-record a highly regarded AOR classic. 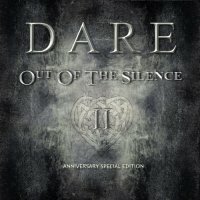 They say you can't improve on perfection, but I think with 'Out Of The Silence II', Dare could have actually achieved it.